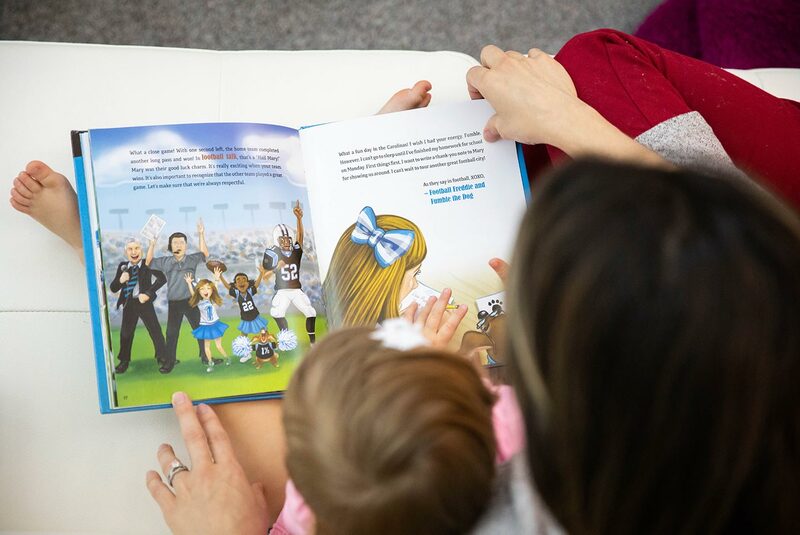 One of my daughters favorite things to do is read a book with Mommy, so when I was asked to review Football Freddie & Fumble the Dog… I could not pass it up! Any excuse to read and broaden my daughters mind, I take it! There are so many benefits to reading to your child, especially at a young age. So just how important is reading? This is extremely important to your developing child! Who is Football Freddie & Fumble the Dog? The main character of the book is a girl named Fredericka, who goes by the nickname, Football Freddie. Her trusty companion Fumble, the dog, was scooped up from a local animal shelter. Her friend, Mary, also makes an appearance in this particular book. The book follows Freddie and her dog as they explore famous football towns and regions, as well as the sport itself. What’s Football Freddie & Fumble the Dog About? Football Freddie & Fumble the Dog, touches on some of the famous landmarks of North and South Carolina! Paired with gorgeously drawn illustrations, this book takes you through a nice history lesson. With educational blurbs about each landmark, there’s a lot to learn! Some of the locations mentioned are the Arthur Ravenel Bridge, Middle Place and Biltmore Estates, to name a few. 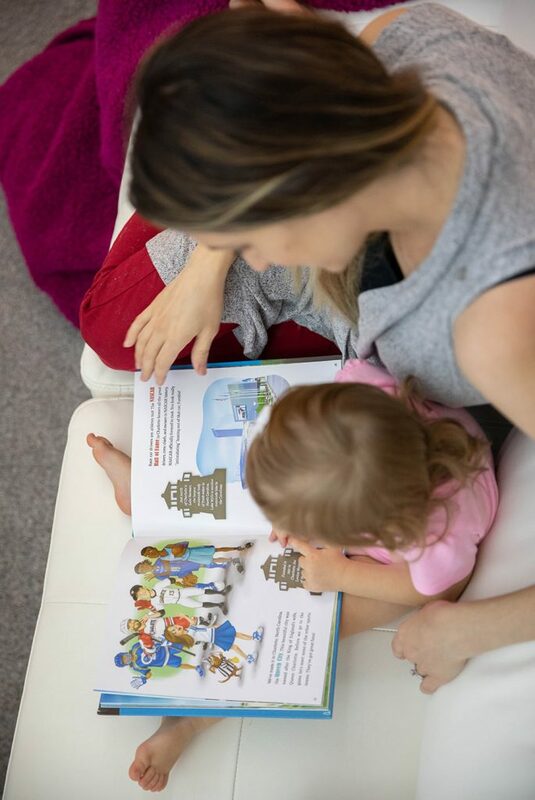 Though my daughter is still a tad young for the historical parts of the book, she thoroughly enjoyed looking at the pictures and hearing mommy tell her about each special location. Her favorite part of the book are the illustrations of the dog, she is quite the animal lover! The book wraps up with a finish at the football game, which is a huge part of the South Carolina/North Carolina tradition. We really enjoyed Football Freddie & Fumble the Dog! Not only did we like learning about different parts of North and South Carolina, but the illustrations are beautiful. This book really made us take a step back and appreciate all the neat things the southeast has to offer. We can’t wait to go visit some of these famous landmarks! Disclaimer: I was provided with a free copy of “Football Freddie & Fumble the Dog” in exchange for an honest review on my blog. All photos are copyright to either MommaReview.com or The Football Freddie & Fumble the Dog brand. All views in this review are 100% my own. This page contains affiliate links. What are some of your children’s favorite books?